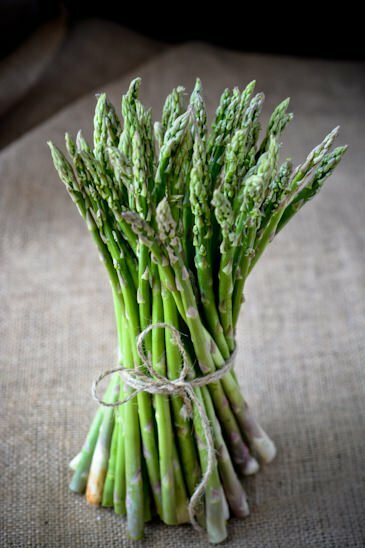 I can never get enough asparagus. Shaved into salads, roasted over high heat or tossed into a stir fry it’s easy to work them into a lot of my favorite recipes. 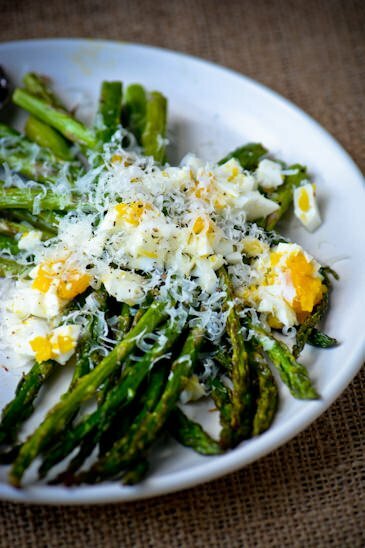 But one of my very favorite ways to enjoy it is to simply roast it and dress it with a little sherry vinaigrette, parmesan cheese and hard-boiled egg. Simple and easy it makes a great side dish or light lunch. Pre-heat the oven to 400 degrees. 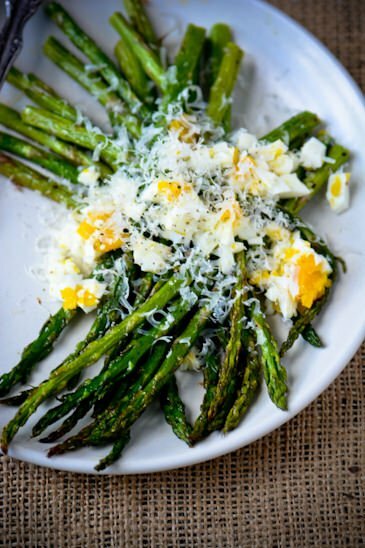 Place the asparagus on a baking sheet drizzle with 1 tablespoon of olive oil and the toss to coat. Season lightly with salt and pepper and roast for 15-20 minutes until tender but still crisp. In a small bowl, combine the vinegar and olive oil and about 1/4 teaspoon of salt and pepper. 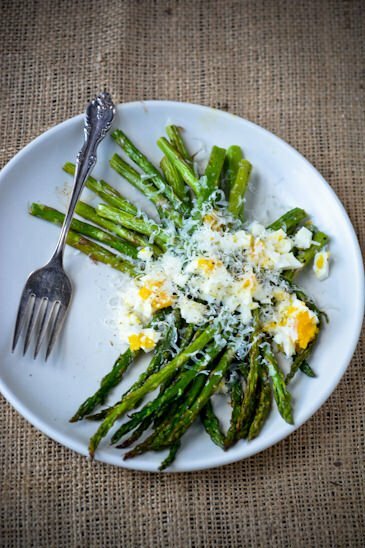 Toss the asparagus with the vinaigrette. Arrange on a serving platter and sprinkle with the egg and parmesan cheese.